In the previous post “A Closer Look at Golang From an Architect’s Perspective,” we offered a high level look at the Go programming language. In this post, we’ll take a look at the type system of Go, with a primary focus on user-defined types. The type system is the most important feature of a programming language, letting you organize your application data. Go follows a minimalistic approach for its type system. It provides several built-in types such as string, bool, int and float64. Go supports composite types such as array, slice, map and channel. Composite types are made up of other types – built-in types and user-defined types. For example, the composite type “map[string]string” represents a collection of string values, in which each string value persists with a string key, where values can be retrieved with the corresponding key. In Go, structs are the way to create user-defined concrete types. The design of the struct type is unique compared to other programming languages. In simple terms, a struct is a collection of fields or properties. Unlike other object-oriented languages, Go does not provide a “class” keyword. Instead, in Go you’ll find structs — a lightweight version of classes. A struct type is exported into other packages if the name of the struct starts with a capital letter. Unlike other object-oriented languages, you don’t need to provide getters and setters on struct fields, as they can access from the same package and can access from other packages as well, if the name of the fields start with a capital letter. Let’s create a struct type. In the above code block, we created a struct with the name Person. Now, we can create objects of Person type and we can store our application data. Let’s create an instance of a Person type and assign the values to the fields. var p Person p.name="shiju" p.age=35 p.city="Kochi" p.phone="+91-94003372xx"
In the above code block, we create a Person object and assign the values to the fields, one by one. We can also use a struct literal to create instances of struct types. We created an instance of a Person type by using a struct literal. When we create instances of struct types using struct literals, we can split the code into multiple lines, but we need to put an extra comma at the end of the last assignment. We can create the instances in a shorter way if we clearly know the order of the struct fields. We can create the instance with a single line statement. Interface types provide contracts to concrete types, which lets you define behaviors for your objects. Let’s create an interface type for specifying the behavior for Person objects. We defined an interface type with the name People, in which we specified two behaviors – SayHello and GetDetails. In Code Listing – 6, we defined an interface for implementing into Person objects. Let’s implement these behaviors to our concrete types. In this sample, we are going to implement the behaviors defined in the interface type People into a Person type with methods. In most object-oriented languages, methods are associated with class, but in Go, methods associate with a struct type. Let’s add a couple of behaviors to our Person type. In Go, explicit declaration of interface implementation is not required. You just need to implement the methods defined in the interface into your struct type where you want to implement an interface type. Go’s type system does not support inheritance. In Go, composition is preferred over inheritance where type embedding is the way to implement composition. Many pragmatic developers are proponents of using composition over inheritance. In this sample program, we are going to create more specialized types of the Person type for representing the meetup people such as Organizer, Speaker and Attendee, by embedding the Person type into new types. Let’s create the types for representing Organizer, Speaker and Attendee by embedding the Person type. In the above code block, we create three new types — Organizer, Speaker and Attendee — by embedding the Person type. When we embed a type into another type, the methods of the embedded type will avail to the new type. So the methods SayHello and GetDetails will be available for the newly created types Organizer, Speaker and Attendee. And our new types also implement the People interface, since the methods SayHello and GetDetails are available on new types. We can also override the methods of Person in the new types. Let’s create types for representing a conference meetup. Here, we create a type named Meetup in which a slice of the interface type Person is included as a struct field. Since we are implementing the interface People into Organizer, Speaker and Attendee types, we can assign instances of these types into the People struct field. We added a method named MeetupPeople to the Meetup struct, in which we iterate through slice of interface type People and call methods SayHello and GetDetails. In the final program, we override the GetDetails method for the Speaker and Organizer types since they are representing some extra information than an Attendee. For the Attendee object, the GetDetails method of Person will be used. In the main function, which is the starting point of our sample program, we create an object for Speaker, Organizer, and Attendee types, then create a slice object with three objects, and assign the slice object into the People field of Meetup type, which is a slice of the People interface. If you look deeply into the source, meetup.go, you will understand the power of Go’s interface types. The source of the meetup.go is available from here. 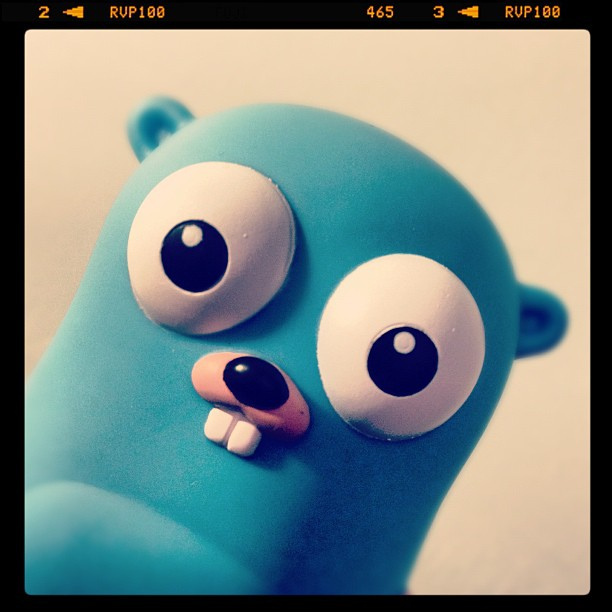 Go provides a light-weight type system that enables code reusability through type embedding and promotes composition over inheritance. Types in Go are exported into other packages if the name of the type starts with an upper case. Structs are used to create user-defined concrete types in Go. In Go, methods are associated with a struct type. A method in Go is simply a function that is declared with a receiver and methods can be called through the receiver types. Interface is an awesome feature of Go which comes with a lot of power and extensibility. When you implement interface types into concrete types, you don’t need to explicitly declare the interface type along with your struct definition. Instead, it will implicitly implement the interface types into your types at run time. Shiju Varghese is a Solutions Architect who specializes in Cloud computing solutions. You can follow him on twitter at https://twitter.com/shijucv. Feature image by Yutaka Tsutano via Flickr Creative Commons.